Freemake video converter is utility used to convert, merge or split videos into several multimedia formats such as MP4, WMV, and MPEG which cover Apple device, Android phone, high quality DVD and more with custom settings. FVC is advanced, easy to use and responsive ultimate converter which is able to convert image, video and audio files between supported file types. It gives ultimate control over rich media content including rotation, change in quality, resolution, splitting and joining multiple clips as well. FVC is professional freeware multimedia conversion utility that is offering DVD to DVD, DVD to mobile, mobile to DVD, video to audio and mobile to mobile video converting features. It support almost every device such as iPhone, Android, Windows Phone, Blackberry, Nokia, Sony, Xbox and more. FVC has an intelligent internal engine which will automatically set target device functionalities including supported resolution, bitrate and fps settings. Furthermore, various supported formats will offer different qualities e.g. 720p, 1080p, DVD, TV and mobile quality as well. It will add freemake branding clips in custom slideshow videos. FVC is able to import image and audio content as user choice to design a standard video. Previously, Windows Movie Maker was used for this purpose but now freemake video converter is offering this feature. Furthermore, add multiple video clips and merge them with customizing file sort order. However, it supports almost each rare and popular video, image and audio file support. Splitting large video into smaller parts is another professional workout of FVC. Change default output directory from File > Options. nVidea Cuba and DXVA support is available to boost through hardware acceleration. Predesigned Profiles: just select target device, it will automatically set perfect matching preset for target device that includes Samsung, Apple, Sony, Nokia, Blackberry, Sony and Xbox. Merge Multiple Clips: add multiple video clips, join them with dragging and dropping to change file order. 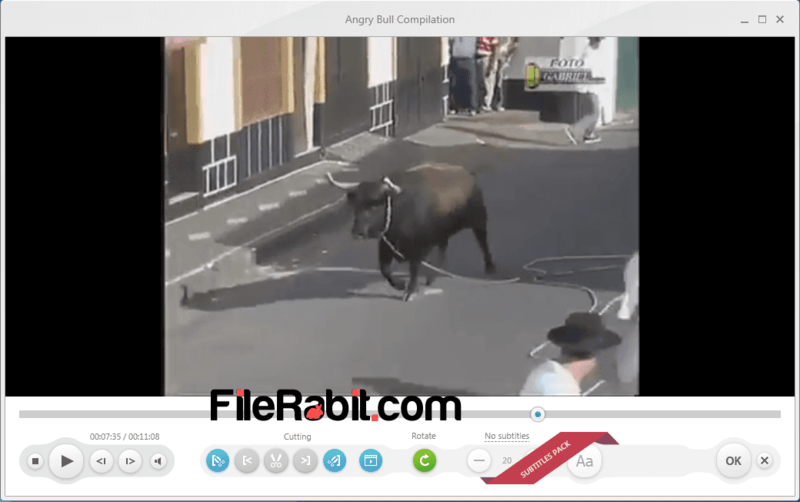 Split Larger Videos: add a larger video, select video starting duration to ending duration, perform a rotation (if desire), add subtitles (web pack required) and search scene automatically as well. Create Custom Videos: creating photo slideshow with adding custom time interval, background audio, panorama and shuffle effects. All devices support: freemake video converter is advanced and professional multimedia converter that supports alot of mobile and computer devices that already mentioned in predesigned profiles.